How was this fine not an issue during the campaign? Allegations of laundering money through casinos are nothing new, and it is a big problem as far as law enforcement is concerned. 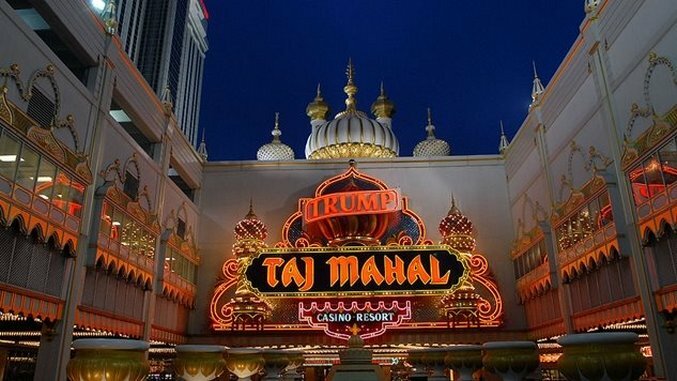 Trump’s penalty was the biggest ever doled out to a casino, until FinCEN fined Tinian Dynasty Hotel & Casino in the Northern Mariana Islands $75 million a few months later. They also fined Cantor Gaming $12 million in late 2016. Trump isn’t alone in the murky waters on this longstanding issue, which is what makes it even more egregious for the media to miss it. A search of TV news archive for “Trump FinCEN” returns two videos—both from CSPAN in 2017 (a search of “Trump Financial Crimes Enforcement Network” returns several unrelated videos from 2017). Narrowing Google to search between the day this FinCEN release came out and election day returns a grand total of zero articles from really anyone on page one. The Hill and The Atlantic articles below are about separate FinCEN stories, and a link to a separate Trump article is what put his name on the page. The Facebook links go to some dude named The Conservative Minuteman. Stretching the start date backwards to early February (when news of this first broke) returns three stories which provide the basic facts of the matter in the Wall Street Journal, Reuters and Fortune. So basically, news about some reality star broke in early 2015, a few outlets covered it, then when the reality star accepted the Republican nomination for president a year later, no one thought to bring it up again. The media spent infinitely more time propping up Donald Trump in 2016 than vetting him for president. How did Hillary Clinton not attack Trump for this? Search through 80 speeches she made during the campaign (dating back to February 14, when only one GOP primary had taken place) and you’ll see that she never said the words “money launderer” or “money laundering” or any version of that phrase. Don’t tell me that she ran a great campaign, and Bernie and the Russians simply stole it from her. She owns missing this more than the media does since she’s supposed to attack her opponent with everything she has, and somehow she didn’t reach for the giant rock sitting in the Treasury Department right down the street from her former office. A major business of the Republican nominee for President of the United States (who was running on his business record) “admitted to several willful Bank Secrecy Act violations, including violations of anti-money laundering program requirements, reporting obligations, and recordkeeping requirements,” had repeated violations in some areas going back as far as 1998, and paid one of the largest fines in FinCEN’s history. No questions? No stories? No? Nothing? What the hell??? Thanks to the Yeltsin government’s failure to rebound from the fall of the Soviet Union, and the subsequent meddling of western financial interests, Russia’s major businesses were effectively sold off to the government just before Putin began his reign—and this, combined with Yeltsin’s mass privatization of state-owned assets (and Putin’s continuance of that policy), created a system that allows the Kremlin to funnel government, intelligence, business, and organized crime all through the same conduits if need be. If you’re doing business with major Russian firms, you’re also doing business with the Kremlin, who’s doing business with organized crime, etc…etc…etc…Russian nesting dolls are more than a metaphor. If Trump was laundering money for the Kremlin in Trump Taj Mahal, then the dirt they have on him is the literal definition of kompromat, and it would go a long way towards concluding why he’s so eager to capitulate to Putin. Three major stories accelerating this saga dropped yesterday, and the biggest shockwave was caused by the news of a grand jury empanelment. But the two others are quite significant, and almost certainly are related to the first; one being Mueller's aforementioned crossing of Trump's red line into investigating his businesses, and the other is yet another cameo by our favorite bumbling PhD, Carter Page.